After his morning run followed by breakfast, Frankie broke into the laundry while I was in the shower and helped himself to his big brother’s bag of food – about 4kg worth! 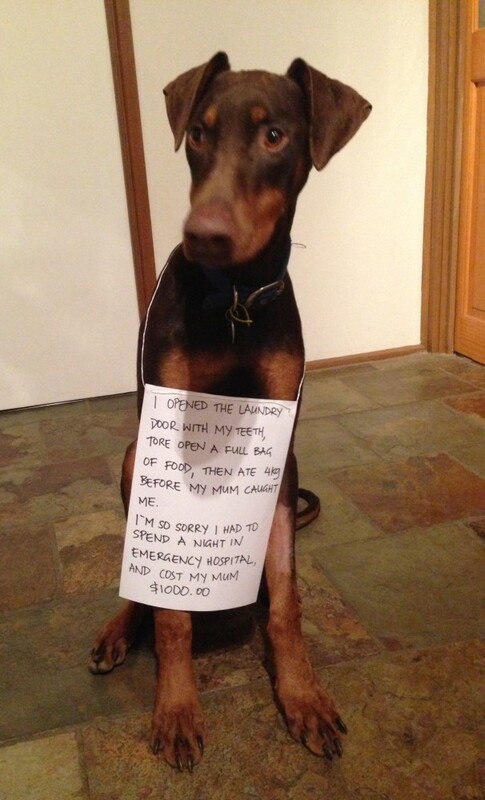 A trip to the emergency vet and an overnight stay in hospital turned it into a very expensive meal. Posted October 8th, 2016 .